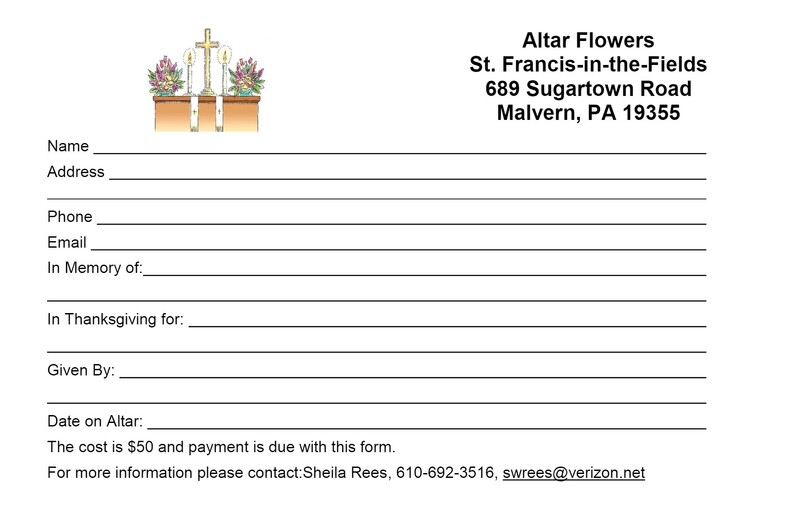 If you wish to give altar flowers to the church in honor of or in remembrance of a loved one or occasion, you will need to fill out an Altar Flower Dedication form. 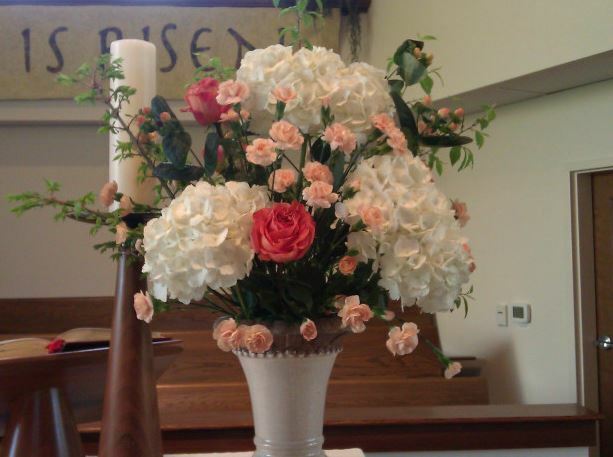 For the Altar Flower Dedication form, click here. For the Easter Flowers order form, click here. The deadline for ordering Easter flowers is April 8. Forms are also available in the back of the church. Return the completed form with payment to the church office or place in the offering plate. Please contact Sheila Rees with any questions. The Altar Guild thanks you for your support of this ministry.